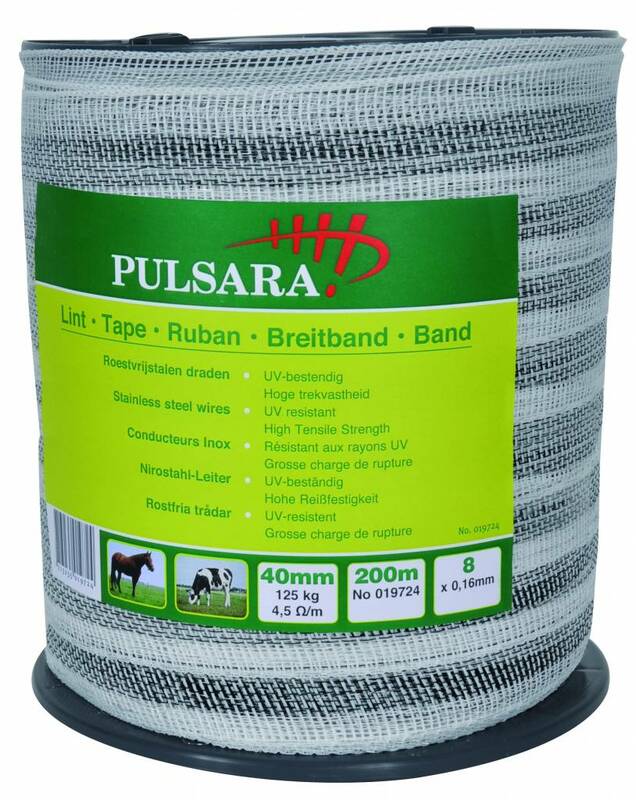 Tape 40mm white, 8 x 0,16mm stainless steel wires. Tensile strength 125kg. Resistance 4,5 Ohm/m. 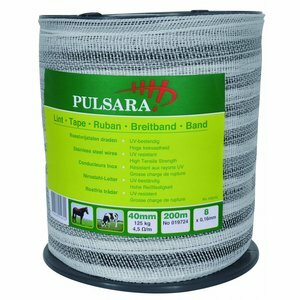 Suitable for short to medium-length fences.